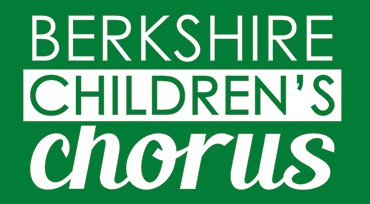 The Berkshire Children’s Chorus is a non-profit 501(c)3 community organization. Your support allows us to provide the highest quality musical experience to our choristers, and many rich listening opportunities for our community. Tax-deductible donations may be made by check or online. Partners in Song are individuals or businesses who make a 3-year commitment of $500.00 or more. We acknowledge our Partners in Song prominently in our concert programs. Contact us at voices@berkshirechildrenschorus.org to become a Partner. Other corporate sponsorship opportunities are detailed here. Nancy Loder Scholarship Fund – Named in honor of our founding artistic director, Nancy Loder, this fund makes it possible for all students to participate in the Chorus regardless of their ability to pay tuition. Send a check to us with ‘Scholarship Fund’ in the subject line to support this fund. Annual Appeal – Because we seek to keep tuition affordable to local families, our tuition only covers 35% of our annual operating expenses, which include rent, heat, sheet music, uniforms, and salaries. We turn to community members and businesses to help us bridge this gap. Please be in touch with us to learn about more specific ways you can contribute (voices@berkshirechildrenschorus.org). Special thanks to the our Partners in Song and to the Massachusetts Cultural Council for their continued support of our work. Ruth and Charles S. Sharp Foundation, Inc.